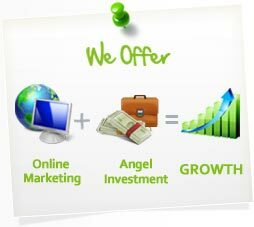 GrowthAngels.com was started by the founders of online businesses that grew incredibly quickly via the focused application of many of the online marketing disciplines. Most of the founders companies have since been acquired by bigger fish. Instead of starting new companies from the ground up, we felt our time could be better used if we focused exclusively on our greatest strength. So we decided to become “growth angels” of existing companies by investing capital and helping them to implement successful online marketing campaigns and strategies in exchange for equity, creating a win win partnership. We’re creating a network of successful online business entrepreneurs who have been there before and who are experts in one or more online marketing fields so more companies can benefit from such a partnership. We’re passionate about fostering entrepreneurship in any way possible and felt this would be a great way to help many entrepreneurs achieve success.